We got this monogrammed baby bib at our baby shower. It was so pretty, I hated to use it! I broke it out for Thanksgiving and I cannot tell you how special it felt...like my son was royalty. Thank you for all you do. 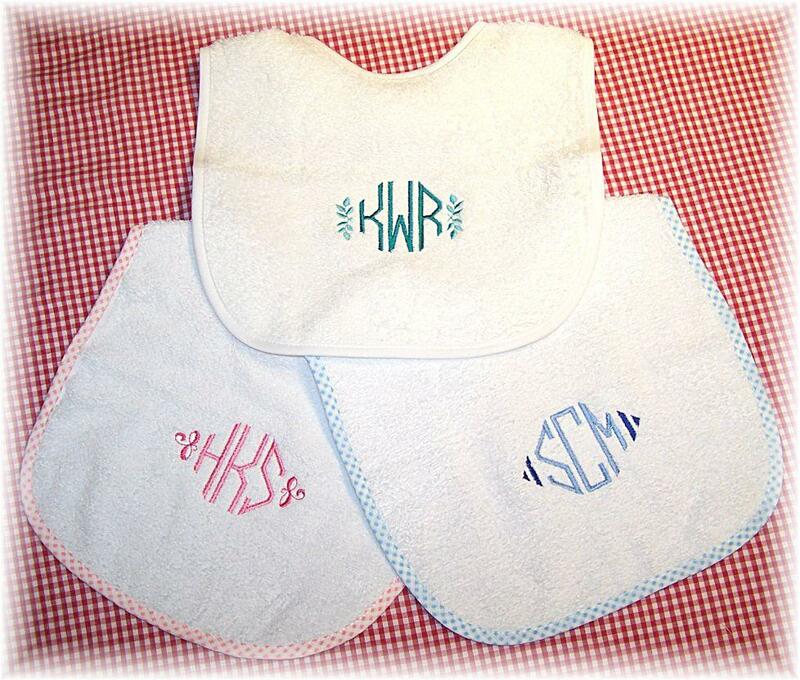 Your monogrammed baby bib is my go to baby gift. Thank you for making elegant baby gift giving so simple. This is my favorite baby gift to give. I just love it! This is my favorite baby gift ever! So smart and sophisticated!!!! I love the gift bag too. Hi Alison, These are really lovely bibs. SO soft and velour-like. I love to give them monogrammed the old fashioned way with a Southern flair.